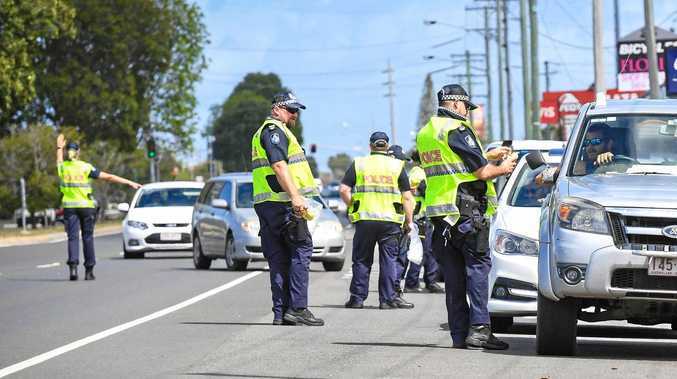 AS THE Bundaberg population grows by between 1 and 1.5 per cent year-on-year, the region is in a good position to boost its economy and employment opportunities. 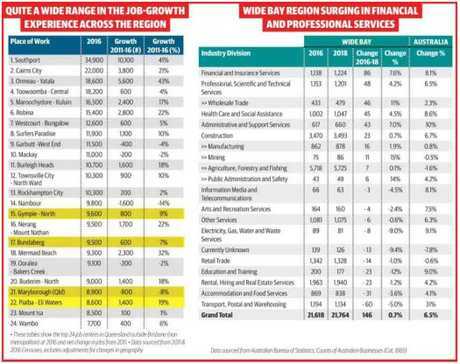 Looking to the future, the data shows Bundaberg jobseekers should set their sights on healthcare and social assistance, retail trade or accommodation and food service industries, and education and training industries. These industries are forecast for the strongest local employment growth between 2017 and 2022, according to the Department of Jobs and Small Business. Across the Hinkler region, 3350 more jobs are expected to be created, roughly one new job for every 43 residents. 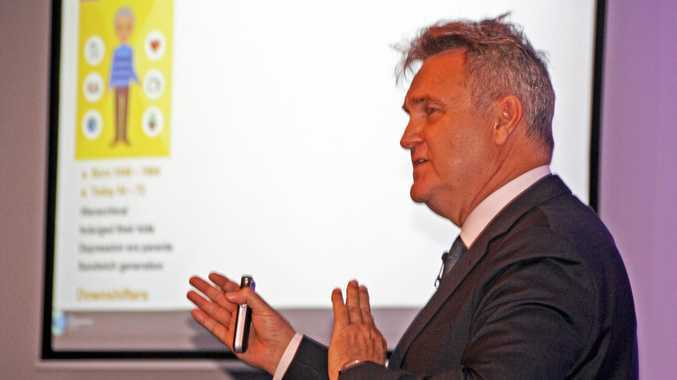 Australia's leading demographer Bernard Salt said Bundaberg's stable population growth would help enable job creation. Mr Salt said the population was expected to increase between 1 and 1.5 per cent a year. In 2017, Bundaberg's population was just under 95,000 people. "It's a good stable base, not growth at break-neck speed," Mr Salt said, pointing out some of the challenges areas with rapid growth encounter. "This is good for business." But while jobs will continue to be created, the region faces a battle to rein in its traditionally higher than average unemployment rate. The Wide Bay region's unemployment rate has fluctuated over the years. At one point in the early 2000s it was about 6 per cent above the national average. This got to within 1 per cent in the late 2000s before staying within a couple of per cent before ballooning back out again in mid 2015, when it's thought the downturn in Gladstone hit the Wide Bay region. That 5-plus per cent gap is now back to just over 2 per cent. Youth unemployment, in particular, has been well above the national average with the Wide Bay region regularly recording numbers above 20 per cent. Mr Salt said the ambition should be to get to 1 per cent above the national average during the 2020s. "The business numbers show there is growth in the small business sector and there is entrepreneurial activity," he said. "In the next 10 years we will see strong growth in health and the aged care/social assistance sectors. "There needs to be a focus on trade skills and allied health skills."